How to write Employee Appreciation Letter? 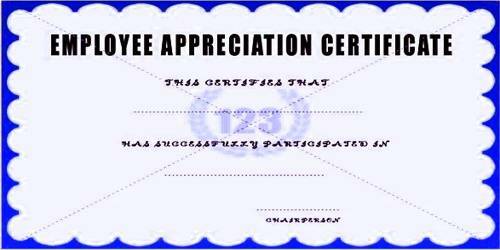 Employee recognition is worth the time and the money you spend on it. An employee works hard day and night to prove himself, and if he does it precisely as required, it is the professional dignity on the part of the management to appreciate him for this. And sometimes, letters serve formal occasions that require recognition beyond a pat on the back or a simple thank you. An employee appreciation letter is written as a token of gratitude to praise an employee for his or her dedication and hard work towards getting the job done on time unquestionably. The objective of writing an Employee Appreciation Letter is to praise your employee for his successful accomplishment of a task given by the management. By doing so, you will be increasing the self-confidence of the employee, and he will feel motivated enough to work even harder for the company. It inspires an employee to put in more effort. An appreciation letter makes an individual realize that their efforts are worthwhile and are valued. Appreciation letter can be written for hard work, good performance, or job well done by the employee. It is with the sheer dedication of employees only that an organization reaches heights of success. Such letters assure the employees that their efforts are being noticed and this will, in turn, assure them that the harder they work, the more appreciation they will receive. It is considered to be a good gesture to write an appreciation letter, but you should be sincere in doing the same. You must mention in your letter how his hard work has benefited the organization. Employees will treasure these letters and keep them forever framed on the wall or in their files. I, on behalf of (Specific Department), appreciate you and your team on the efforts and sincerity in (Actual work is done, which has helped the Company). I personally thank you for carving out amazing strategies that actually proved to be a catalyst for the team in achieving the goals. (Describe in your own words). I am aware of the hard work that you have put in this work and congratulate you for (Mention the Accomplishments). We are pleased to have you on board. We are very well aware that you have put in a lot of hard work on (Mention the core qualities). It is for your dedication, loyalty, and team spirit that the (Work or Assignment) was a success. On behalf of (Name of the Company), we want you to know that we value your dedication towards work. Thank you for giving this company your best.